The ICOM ID-51 (not plus) is my handheld radio for traveling and antenna work. I am not a big DSTAR or relais user at all, but I wanted a simple handheld on „just in case“ basis. 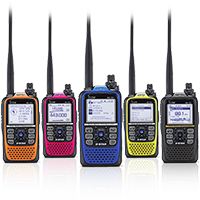 Here is some information on the IC-51A PLUS from ICOM America. 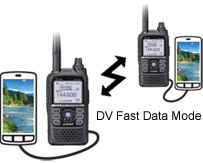 ID-51A PLUS is an evolution of the ID-51A, Icom’s popular D-STAR Amateur radio. This model incorporates the original feature set including integrated GPS, an independent AM/FM receiver and V/V, U/U, V/U Dualwatch, as well as enhancements for digital operation and compatibility with the RS-MS1A free Android application. *The optional OPC-2350LU data cable is required to connect to an Android™ device.